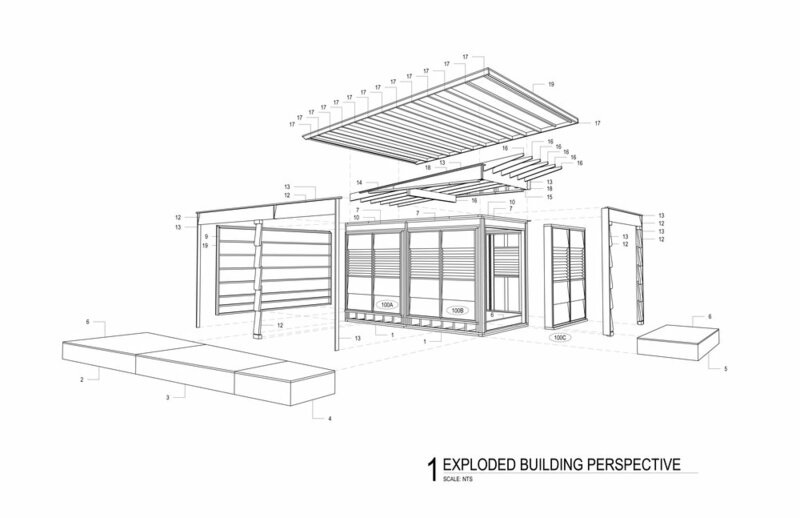 A prefabricated, uninsulated structure featuring reused materials. The universal shed can be installed on any site and will accommodate a wide variety of uses. The structure is designed as a kit of parts that allow customization. 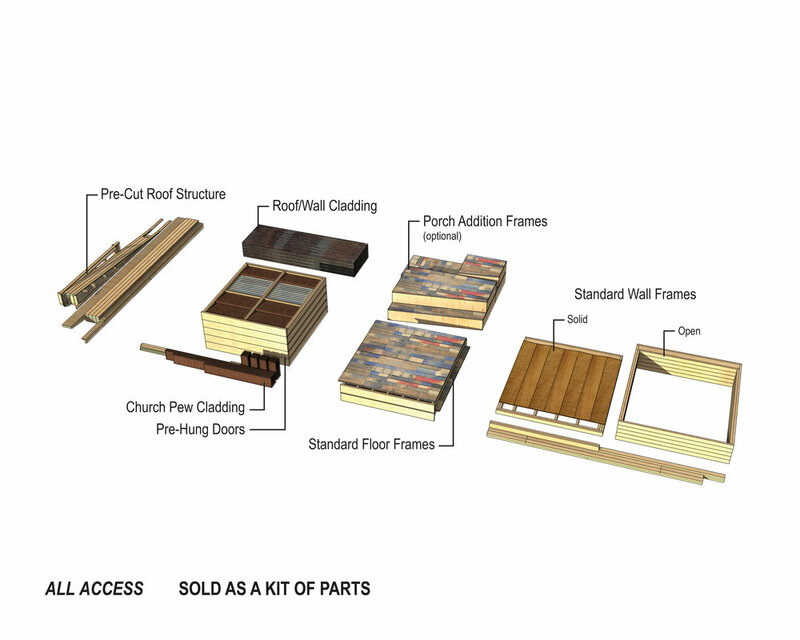 ALL ACCESS 01 can be configured with up to six sets of doors, a porch addition, and different roof options. Parts are prefabricated, packaged, and shipped to site for assembly. 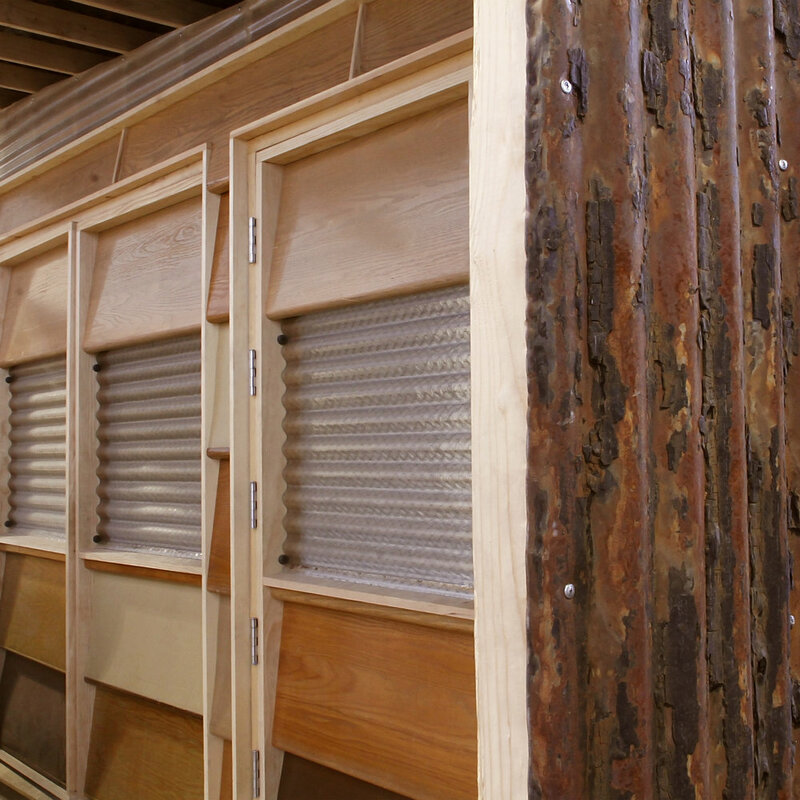 The finishes are made from waste materials that give it a rustic look and facilitate landfill diversion. 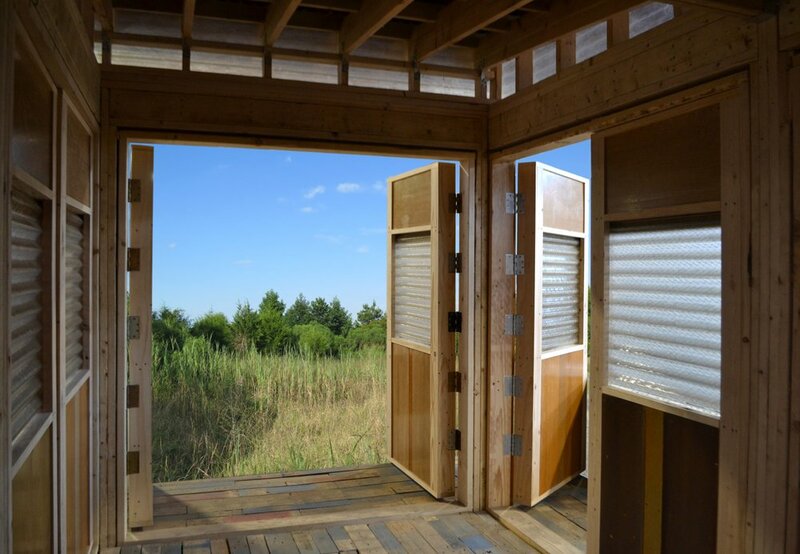 Standard door frames and wall structure are able to showcase different materials based on availability from our material reuse supplier, Construction Junction. The materials in this version include reinforced corrugated glass salvaged from the former Connelley Trade Center, wood pews saved from closed churches, and weathered corrugated steel from a Westmoreland barn. Created by PROJECT RE_, ALL ACCESS 01 promotes job training and entrepreneurship. The prototype is intended for mass production. 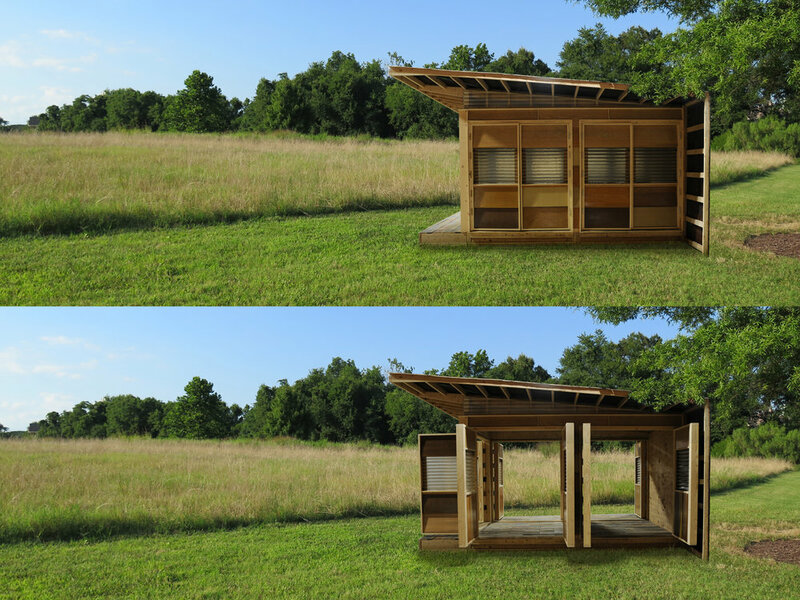 Its design will be passed on to a team of entrepreneurs who will develop a local business to build and sell the sheds at scale. ALL ACCESS 01 was built by an experienced carpenter and his Trade Institute of Pittsburgh apprentices as part of their job training. Large scale production will facilitate future job training through replication. The social benefits and versatility of ALL ACCESS 01 add value beyond that of other sheds on the market. The first prototype is currently for sale. Stop by Construction Junction to kick the tires and let us know what you think!